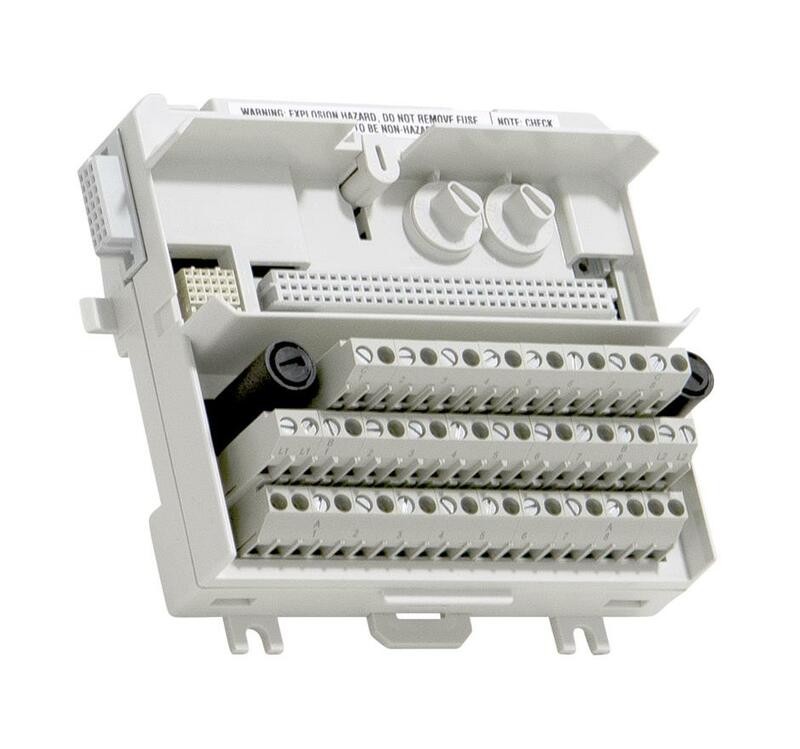 This module has 8 digital inputs. 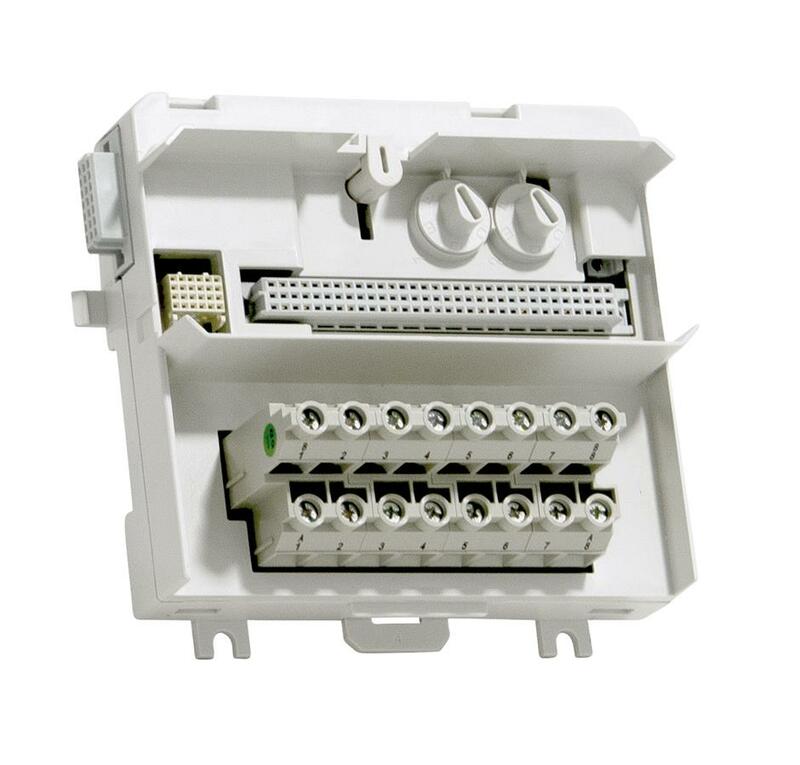 The a.c. input voltage range is 77 - 130 volt and the input current is 10 mA at 120 V a.c. 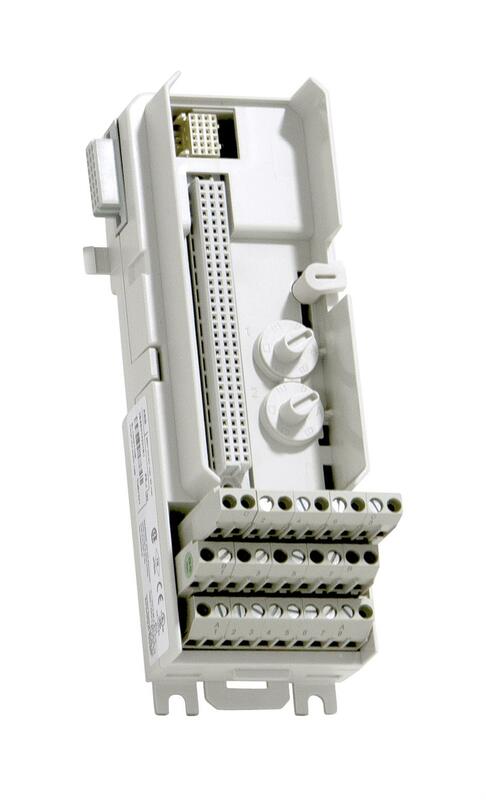 The d.c. input range is 75 - 145 V and the input current is 2.8 mA at 110 V. The inputs are individually isolated. 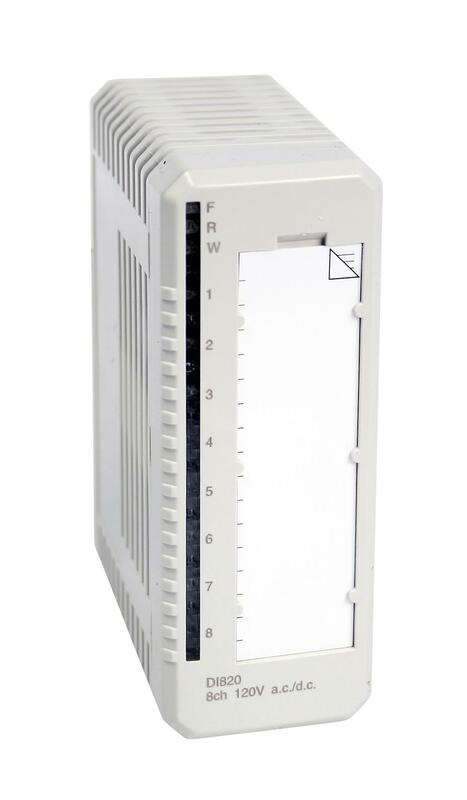 Every input channel consists of current limiting components, EMC protection components, input state indication LED, optical isolation barrier and an analog filter (6 ms). 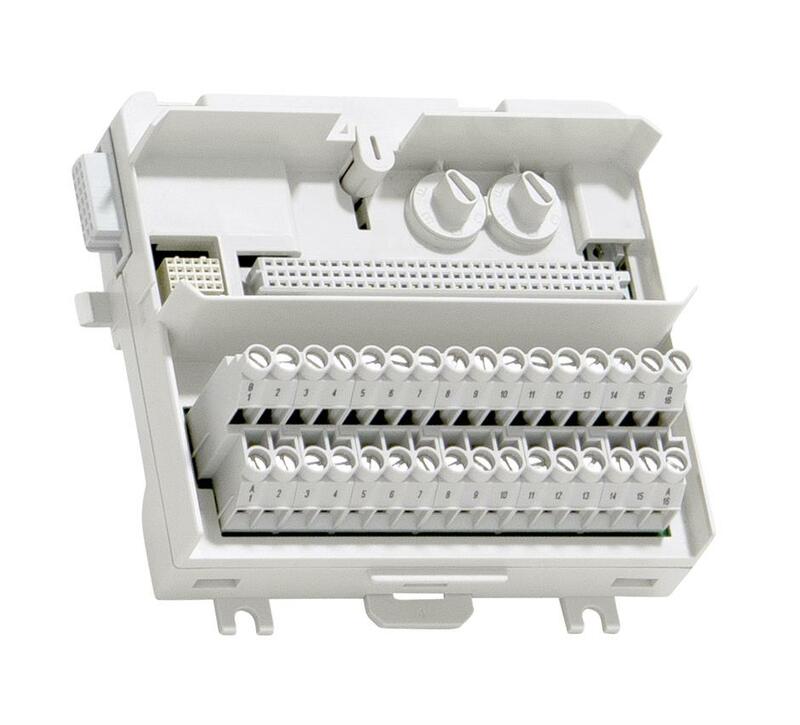 Channel 1 can be used as voltage supervision input for channels 2 - 4, and channel 8 can be used as voltage supervision input for channels 5 - 7. If the voltage connected to channel 1 or 8 disappears, the error inputs are activated and the Warning LED turns on. The error signal can be read from the ModuleBus. 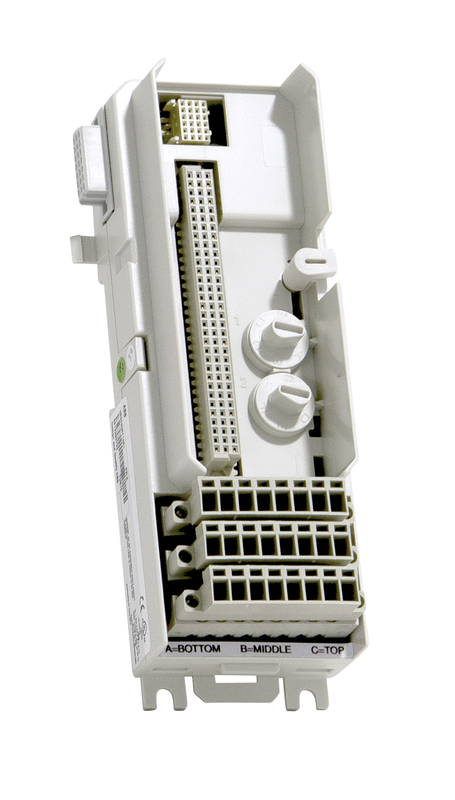 Signal specification 120 V a.c. / 110 V d.c.